I remember when my husband and I first started dating. We were so infatuated with one another. We wanted to fulfill each other’s needs. We listened to one another. We spent a lot of time together connecting. But after 18 years of marriage, kids, careers, and basically, life, it has gotten harder to find time to connect. Somewhere along the way there was a disconnect. Disconnected from each other. Disconnected from intimacy. Disconnected from love. In the book “The 5 Love Languages – The Secret to Love That Lasts”, author Gary Chapman explains the distinct language we use to express love to one another. He boils it down to these 5 love languages: Words of Affirmation, Quality Time, Gifts, Acts of Service, and Physical Touch. Although I think we both fall into more than one of these categories, there is one overwhelming category for each of us. Once we understand the love language of ourselves, and our spouse, we hold the key to love that doesn’t fade way. Do you feel disconnected from your spouse? 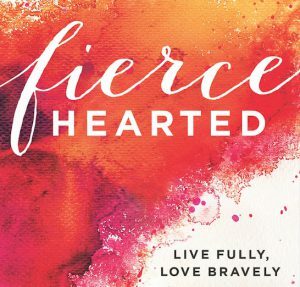 Want to put some spark back into your marriage? The first step is spending time with one another. The way you did when you were dating…before life got in the way. 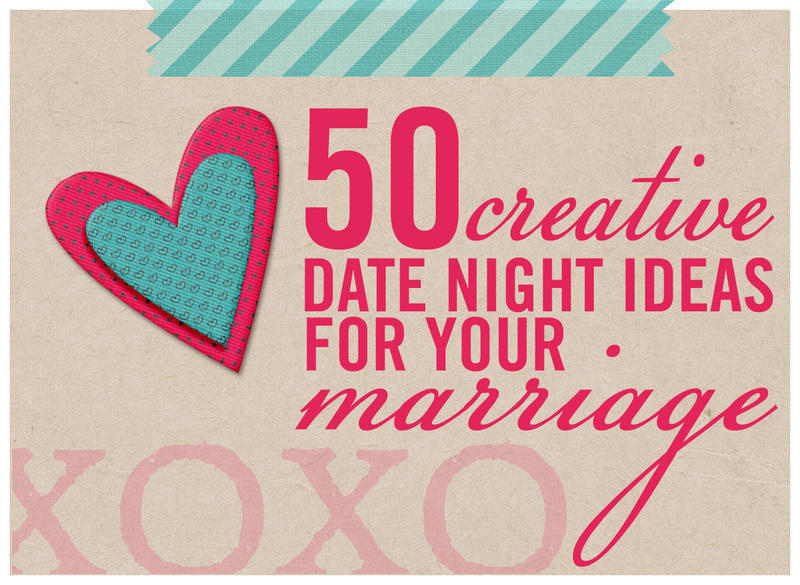 In honor of February, the official LOVE MONTH, here are 50 creative date night ideas to put that sweet love back in your marriage. Hiking. Pack your hiking boots or a comfortable pair of sneakers, two large bottles of water, yummy sandwiches, and take a hike. Hockey or other Sports Team. Buy tickets to the minor league team in your area. Many times these tickets are less expensive than the major leagues. Arts and Crafts. Pottery Painting … paint funky coffee mugs or a family plate! Art Walk. Check out the latest exhibit at your local art museum or art galleries. Attend a County Fair. Whether it’s pie bake-off on a farm or a giant turkey leg at a Renaissance festival, fairs are great places to sample food and soak up the local flavor. Ethnic Eats. Try the cuisine of a country you want to visit. Play Chef. Attend a Cooking Class together. Brunch Date. A lot of weekend hot spots offer deals on brunch buffets and drinks. Flea Market Find. Head to a flea market or thrift store to see who can find the funkiest item. The only rule? You can spend no more than $10 each. Historic Tour of someplace in town. Paint a room in your house that you’ve been meaning to re-do. Night In. Order in Chinese and put together a puzzle. Send the kids to a babysitter. Stargazing. Drive away from the city lights, pack a picnic dinner and watch the sunset and stargaze. Day trip to a nearby town and play tourist. Mini golf without the kids. Eat at the restaurant of your first date. Mall Rat. Walk around the mall hand in hand. Have a fondue night at a local fondue restaurant. Test Drive. Head to a car dealer and test drive cars you’ve been dying to check out for you and your family. For the Kids. Create something for your kids and surprise them – blanket fort, pillow fortress, LEGO cave, etc! For Your Inner Foodie. Try new restaurants. Get dressed up like it is a really special event. Be a tourist in your own city. Find what tourist attractions are in your city and spend the day acting like tourists, including taking cheesy pictures! Take a free factory tour. You would be surprised what factories are around you! Take a Bible study together. Get a baby sitter and have a movie marathon at home, complete with special popcorn and snuggling on the couch. Restaurant hop. Go to a different restaurant for each course of the meal. Make three stops for an appetizer, main course, then dessert. Combine this with #41 and you have an awesomely creative date! Write a bucket list. Make a list of things you want to do before you die, and do one together to cross it off the list! Play Frisbee golf. Some city parks have a course set up. If not, take a Frisbee to the park and play around. Act goofy. Paddle boat ride on a nearby lake. Go to a play or symphony. Go for a scenic drive. Have lunch at a spot you find on your way. Go camping in a CABIN, by a river! Or tent camp. Whatever is your style. Go to the botanic gardens and hold hands while you stroll. Create an outdoor living space complete with twinkle lights on the patio, and enjoy ice cream outside together in the evening, after the kids are in bed. Theme night. Example: French food, plus a foreign film. Find the best Hot Dog in town. Pick 3 diners, drive-ins, or dives that rave about their hot dogs…them visit each one. Cast your vote for each. Dance Lessons. Salsa, Cha-cha, hip hop, whatever dance you choose, do it together. Hunt for books at a used book store. Choose a book that you would like your spouse to read. Then read each others choice. Ice skating. Hold hands and help each other stay upright. Sports. Play tennis together, bowling, air hockey, or steal the kids Wii and complete for fun. Movie Night Out. When was the last time you went to the movie theater? Or, do you still have a Drive-In Theater in your town? Make out like a teenager. Massage. Book a couple massage and relax together. Now, go make a date. You’re welcome. Fantastic list. I am a big believer in the 5 love languages. Mine is words of affirmation and my husband’s is acts of service although I believe all men have a partial physical touch love language! My friends and I have talked about this.